Disney Studios has reportedly scrapped its plans to remake The Beatles’ 1968 psychedelic film Yellow Submarine in 3D, blaming “budget issues”. The 3D project was to be directed by Oscar-winning Robert Zemeckis, the creative driving force behind Back To The Future, Forrest Gump and Who Framed Roger Rabbit. He planned to use the same motion-capture 3D animation and special effects he employed in the films Polar Express, Beowulf and A Christmas Carol. When the film was first announced in August 2009, Zemeckis said he hoped to get Paul McCartney and Ringo Starr involved in the project. He wanted to incorporate the 16 Beatles songs and recordings from the original film – including ‘All Together Now’, ‘All You Need Is Love’, ‘Eleanor Rigby’, ‘Lucy in the Sky with Diamonds’ and ‘With A Little Help From My Friends’. Last year, Zemeckis revealed that Dean Lennox Kelly (from BBC TV’s Robin Hood) would provide the voice of John Lennon, along with Peter Serafinowicz (Paul McCartney), Adam Campbell (Ringo Starr) and Cary Elwes (George Harrison). 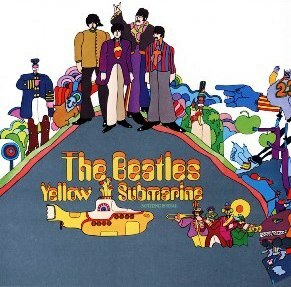 The original version of Yellow Submarine – directed by George Dunning – reflected the ‘peace and love’ counter-culture of 1967 and 1968 and told the story of a peaceful, music-loving underwater community that is attacked by music-hating ‘blue meanies’. If you’d like to receive a FREE personal copy of each issue, simply SIGN UP at http://www.sh-boommagazine.com. It’s FREE TO JOIN, and we’ll email the magazine direct to you when published. Soul legend Aretha Franklin, 68, has announced she will start performing concerts again at the end of May, only months after being admitted to hospital and undergoing surgery for an undisclosed illness. 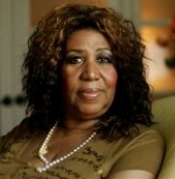 She also plans to release her long-awaited new album, Aretha: A Woman Falling Out of Love, in early May. Last November, the Queen of Soul cancelled all concerts and public appearances for six months under doctor’s orders – amid speculation that she had been diagnosed with pancreatic cancer, something she has strongly denied. In December, she had what she described as “more than minor surgery”. In January, she told US magazine Jet that she was “feeling great” and said her medical condition had been resolved. Since then, she has revamped her diet and lost a significant amount of weight. “I want to not only maintain the weight I am at now, but better it by one dress size,” she told the Associated Press news agency. “You can’t continue to eat things that are not good for you.” The singer says she has been working out three times a week and hopes to get down to size 16. The album features an eclectic mix of older songs – such as ‘Theme From a Summer Place’, ‘The Way We Were’ and ‘My Country ‘Tis of Thee’’ – and new material, including two songs written by Aretha herself (‘This You Should Know’ and ‘How Long I’ve Waited’). In addition, the track ‘His Eye is On the Sparrow’ showcases her son, Eddie Franklin, and is produced by Aretha. Sir Paul McCartney, 68, is taking his love of composing classical music to a new level by writing his first original orchestral score for a ballet. The former Beatle is composing the music for the New York City Ballet (NYCB) company’s production of Ocean’s Kingdom – a new romantic ballet which will have its world premiere in New York on September 22. Ocean’s Kingdom is said to be a Romeo and Juliet-style love story about a forbidden love affair between the daughter of the king of the “pure” ocean kingdom and the brother of the king of the “baddie” earth kingdom. The four-act ballet will feature some 50 minutes of music and will involve more than 40 dancers. Sir Paul’s involvement in the project began last year when he met NYCB’s ballet master-in-chief Peter Martins at a charity event. “Like the rest of my generation, I grew up being a huge fan of The Beatles so I was thrilled to meet him,” said Martins, who will create the choreography for Ocean’s Kingdom. 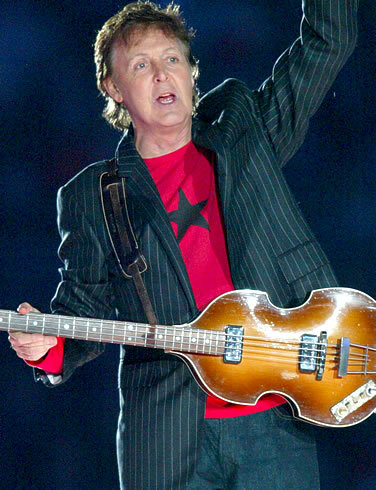 After writing some of the greatest pop songs of the last 50 years, Sir Paul McCartney first dipped his toes into classical music in 1991, when he wrote the Liverpool Oratorio with Carl Davis for the Royal Liverpool Philharmonic Orchestra’s 150th anniversary. His other classical works include Standing Stone, Working Classical and Ecce Cor Meum. You are currently browsing the Sh-Boom! Magazine blog archives for April, 2011.